Harsh and icy terrain could create a slippery slope for your operations without an ice road truck designed with advanced engineering techniques. Our ice road tenders are available in all gallon capacities and offer various pump, hose, and heater systems. As a leader in the tanker manufacturing industry, we understand what it takes to fabricate an ice road truck made specifically for you and your business’ operations. Your ice road truck purchase should be simple—and with our guidance it will be. We have proven that having you participate in the design process is the best way to ensure you receive a truck fully furnished with superior durability, performance, and reliability. 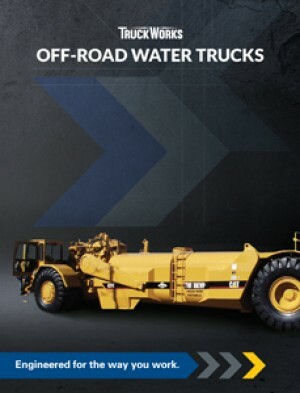 Our ice road trucks are available in all gallon capacities and offer various pump, hose, and heater systems. We have the capability to work from a new or used to chassis and still deliver a truck fully equipped and ready for the ice road season. We are proud to say that we aren’t your typical tanker manufacturer. We are the original equipment manufacturer of our products, therefore everything is manufactured in-house and to your exact specifications. We also use advanced engineering technology such as SolidWorks, stress analysis and weight distribution simulations to help prevent the common challenges ice road trucks are faced with day-to-day. As an initiative to help prevent accidents, we engineer your trucks with a low center of gravity, aim for equal weight distribution, and perform a stress test analysis to increase your truck’s functionality without sacrificing its safety. We even can take your normal tank, fully insulate it and install an internal heating system. Your tank is then able to maintain warm temperatures to prevent freezing even when operating in arctic weather conditions and on frozen waterways. Don’t let corrosion limit the lifespan of your tank. Over time all tanks will rust, weakening and reducing the thickness of the metal that makes up the tank. This can be a serious problem for both your truck and you. Understanding this challenge that many ice truck operators are faced with, we offer our patented hot-dip galvanization option to ensure durability and increase longevity by making your tank corrosion resistant.